Visit and explore some of the most interesting Inner Loop residences available for sale in Houston right during their open houses this weekend, Saturday, April 14 and Sunday, April 15, 2018. With a focus on Montrose and Buffalo Bayou-adjacent homes, here are our top open house pics of the weekend. 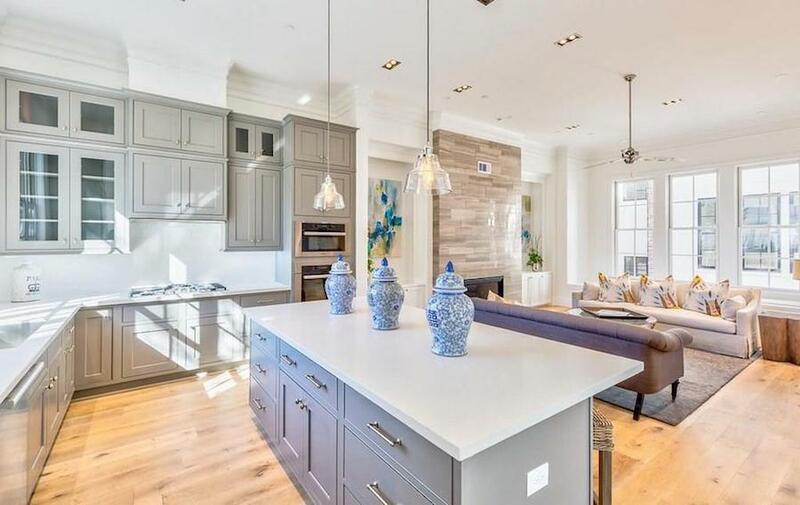 1811 Dunlavy Street in Montrose | Saturday – This contemporary smart townhouse in Hyde Park, tucked away in Montrose, has beaming hardwoods, high ceilings, a large master bedroom, and more. List price is $779,500. Open house is 1pm to 3pm. 1304 Castle Court in Montrose & the Museum District | Saturday – Check out a four-story townhome close to Texas Medical Center, Rice University, and Greenway Plaza. Built by Lovett Homes, it’s walking distance to Black Hole Coffee Shop, one of the landmark arched bridges over Highway 69, and more. Designed for entertaining, the home has a chef’s kitchen with double stacked cabinets and Miele German appliances. Wood flooring throughout the home. List price is $699,900. Open house is 1pm to 5pm. 7 Robita Street near Buffalo Bayou | Saturday and Sunday – This house features an installed elevator, game room, rooftop terrance, and more. This Lovett Homes property features double stacked custom cabinetry with soft close doors & drawers, quartz countertops, and high end Miele German appliances. List price is $599,900. Open house is Saturday 11am to 5pm; Sunday 1pm to 4:30pm. 1511 Michigan Street in Montrose | Saturday and Sunday – Enjoy walking distance to award-winning Anvil, Hay Merchant, and Stone’s Throw, plus restaurants, parks, shopping, museums, fine arts venues, and more. Built by Pelican Builders, this gated community home is nestled in the Hyde Park neighborhood pocket in Montrose. List price is $895,000. Open house is Saturday 10am to 6pm; Sunday noon to 6pm. This article was sponsored by Christopher Williams, a real estate agent with Heritage Texas Properties – Post Oak Park. Per our advertising policy, we only accept sponsored content from businesses that meet our editorial standards and truly present a valuable activity, resource, or destination for Houstonians and Houston visitors. Click here to learn about promoting your event, product or business. Christopher Williams is a real estate agent with Heritage Texas Properties – Post Oak Park. He brings his experience and enthusiasm for Houston’s eclectic neighborhoods, real estate development, home design and community involvement into everything he does. A Texan by birth and Houstonian since 2005, he’s proud to call himself a Houston local and Texas Tech Red Raider.